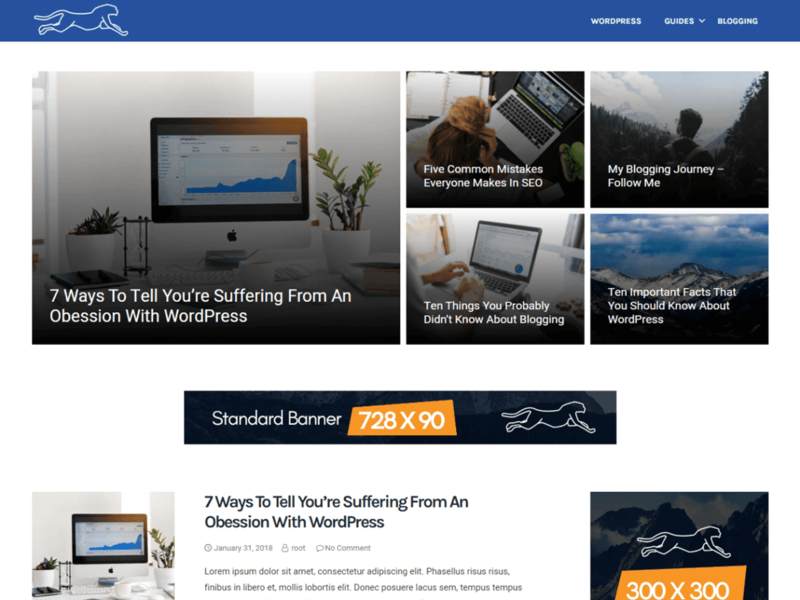 Fastest WordPress theme is one of the most lightweight (9KB CSS and 3KB JS – compressed), search engine friendly and schema ready wordpress theme available for free. It is designed for professional magazines and personal blogging websites. It comes with custom featured section where you can show latest or most popular posts on your site in modern grid style. Featured post section is also optimized for best performance on small devices like smartphones and tablets. Just below the featured posts section, it has an advertisement section where you can add standard 728 X 90 Google AdSense or banner advertisements. Furthermore, it comes with an integrated recent post with thumbnail widget which is handcrafted especially for this theme.